Luxury rooms from £89 per night* in the heart of London City. The Chamberlain Hotel, 130-135 Minories, City of London, EC3N 1NU, United Kingdom. London's best sights and attractions are a short walk away. 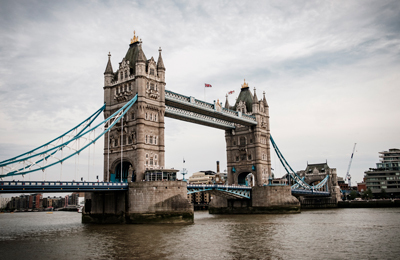 Local attractions include Tower Bridge and Tower Hill Station, near the Tower of London, the 'Gherkin', and the Thames. Easy access to Liverpool Street Station, underground services and bus stations. The location was perfect – close to everything you want to see in Central London. Spacious, well-equipped room with free beer in the fridge, free smartphone to use during our stay, friendly staff and super comfy bed. We loved it and it was excellent value for money - you get a better deal booking direct. Excellent value central London hotel rooms – Book direct for our best price guarantee! 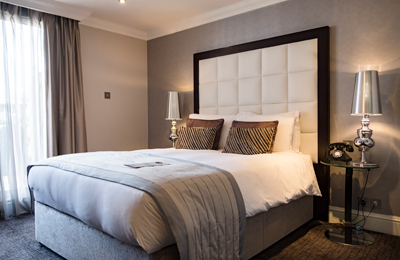 Treat yourself to a little extra luxury with one of our Luxury Double Rooms. Stretch out, relax and enjoy London in fine style. Sleep like a King in our Deluxe King Rooms, with plenty of space and indulgent extras, including late checkout at 1pm. For those who live for the finer things in life, our Deluxe Superior Rooms are among the finest here at The Chamberlain and can be set up as a double or twin room. Includes late checkout at 1pm. Our Roof Terrace Rooms are our most beautiful rooms at The Chamberlain. Enjoy your own private outdoor terrace overlooking the hustle and bustle of London. Includes late checkout at 1pm. Great hotel. Extremely well located, clean, good food (for England), its own pub and a quiet borough. London Tower, Tower Bridge, St. Catherine's Docks and all of London is a few blocks away. Superb. The Chamberlain has both a formal restaurant and traditional English pub on-site. When you stay with us, you will receive 10% off food and drink when you dine in our restaurant for breakfast, lunch or dinner. Our relaxed pub serves-up Fuller’s award-winning beer, along with our extensive wine list, cider, craft beer, artesian spirits and non-alcoholic drinks. Our talented chefs only use the freshest local ingredients ethically sourced by our hand-picked suppliers. View The Chamberlain Hotel's food menu. • "Spacious and very comfortable. Nice touches like Nespresso machine in room, bottle of milk, free beer and still and sparkling water." - Leona, New Zealand. 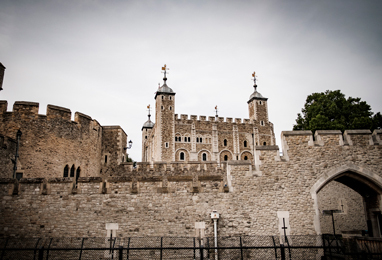 • "Friendly staff, hotel has a very good situation close to the Tower of London and metro, the most interesting was finding the smartphone, free of charge, to be used while in London. Calls, maps, internet all FREE OF CHARGE. Great idea of the hotel management. Bravo!" - Srecko, Belgium. • "Great location, cosy room with top-notch facilities, good breakfast and a friendly staff." - Gertjan, Netherlands. Our prices will always beat other booking agents. Book direct for our best price guarantee! Book online using the date finder below, or call us on 020 7680 1500. For more information about The Chamberlain Hotel, our rooms and our booking and cancellation policy, please see our Terms & Conditions below. *Prices are subject to change, depending on season and availability for your selected dates. Twin rooms are available at request. Our checkout times vary depending on the room type booked, please see room description for details. Direct booking. You're booking with us directly, so there are no booking fees, or risk of us not receiving your booking. Privacy promise. We won't send you marketing emails you haven't asked for (or trick you into asking for them). Best price guarantee. We'll match any lower online price, so get in touch if you find one. Any type of extra bed or child's cot is upon request and needs to be confirmed by the hotel prior to arrival. Please contact us directly if you require a cot/crib or extra bed. All children under 2 years stay free of charge using a cot. All children from 2 years are charged £30 per person per night for an extra bed. Flexible Rate/Weekend Special Rate - If cancelled by 12 noon the day of arrival, no fee will be charged. If cancelled later or in case of no-show, the first night will be charged. Advance Rate - Pre-paid, non-refundable rate. If cancelled or in case of a no-show, the full payment will be retained. Due to the historic nature of the building, our rooms vary in size and style. The rooms are designed to maximise the space and comfort during your stay - should you have any specific requests please contact us using the details below.